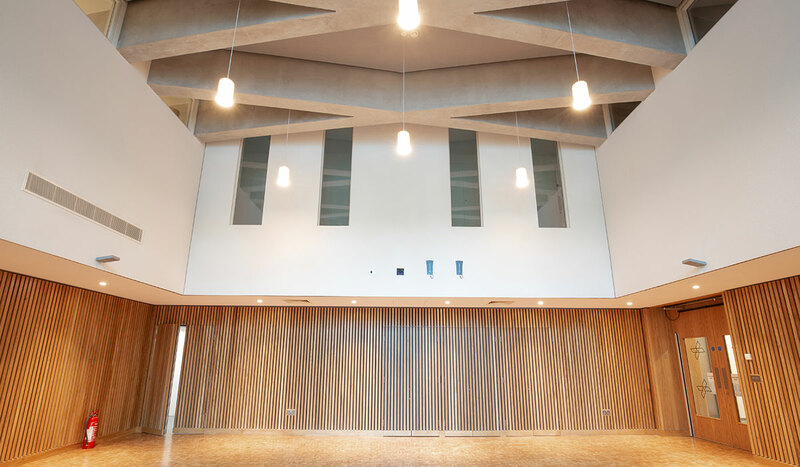 Located in the heart of Bethnal Green opposite the V&A Museum of Childhood, Bethnal Green Mission Church is a new BREEAM Excellent development designed by Capital Architecture and built by Curo Construction. 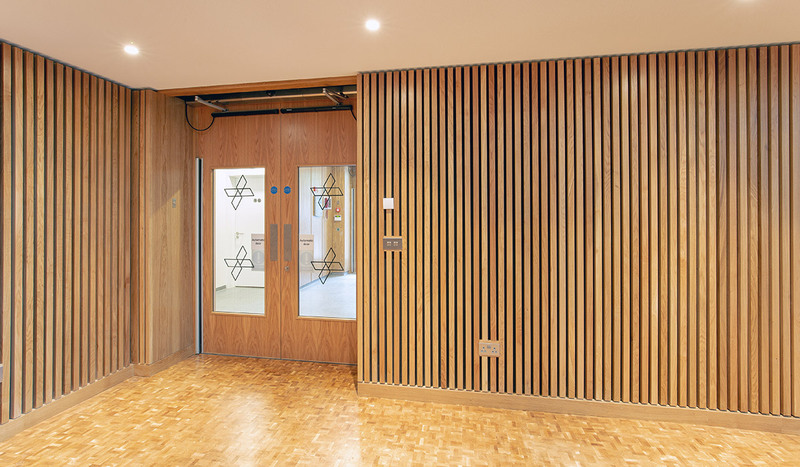 The design of the new-build project creates a new double height Mission Church at the heart of the building with a stained glass window projecting colour into the church. The main church hall is surrounded by community facilities, as well as the vicarage located on the 1st floor overlooking the church hall. 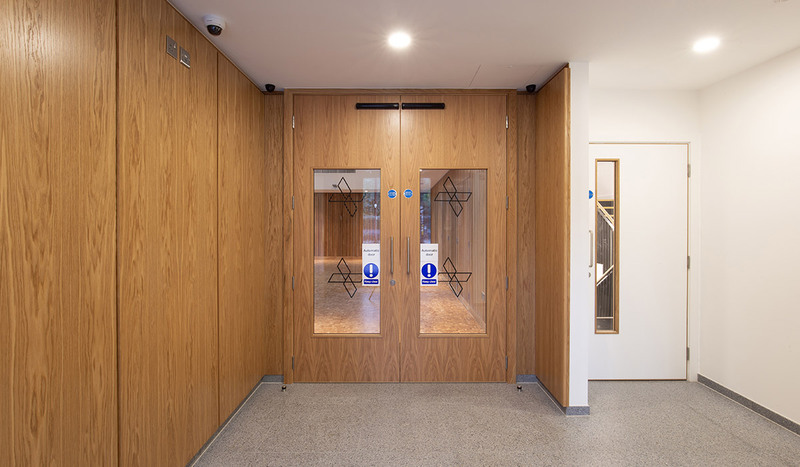 Doorview were asked to supply the project with veneered oak, entrance double doors and sliding doors to the public areas of the church. 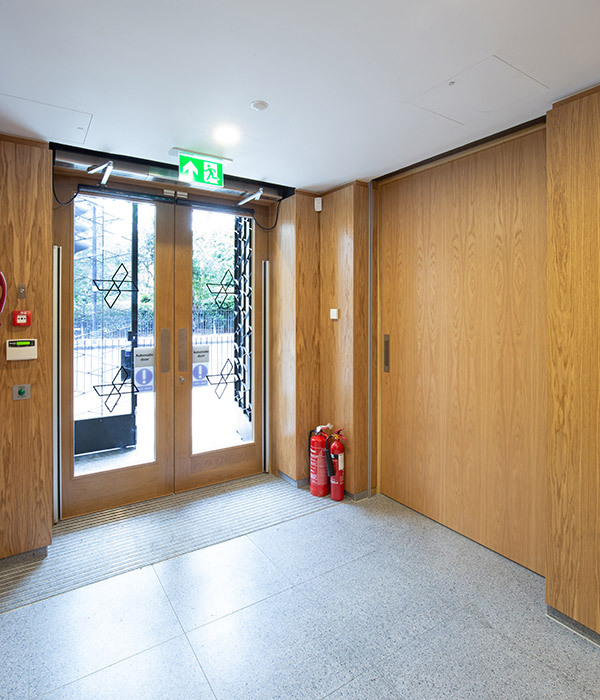 It was important that the selection of the veneer matched with the panelling in the church hall areas. 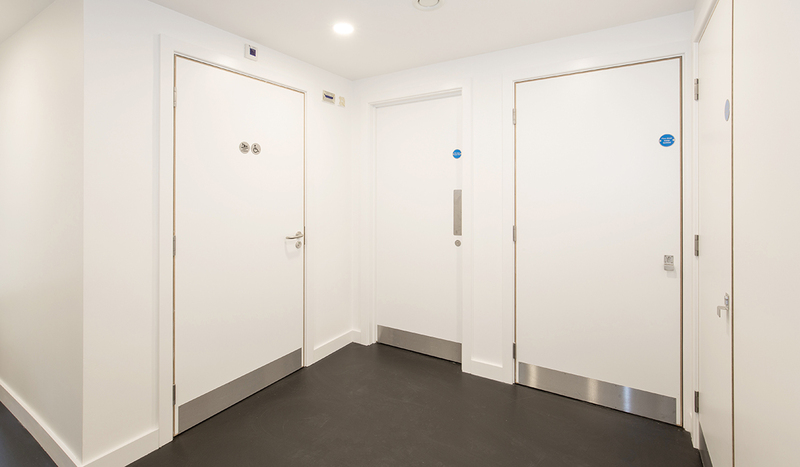 Painted doors were also supplied to the vicarage areas of the building, with door handles and ironmongery hardware supplied throughout.